Strategic Challenges — What’s a CFO to Do about Sustainable Growth? 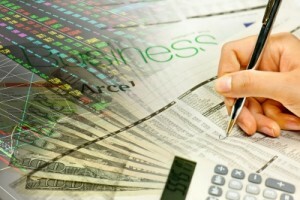 Browse > Home / Finance, Planning / Strategic Challenges — What’s a CFO to Do about Sustainable Growth? Sustainable growth ranks as global companies’ No. 1 strategic planning challenge – in which chief financial officers will be playing a major role, says a study. Global executives say sustainable growth is their most salient planning challenge and their chief financial officers will help lead the effort. But how CFOs will respond remains to be seen. Those were the main conclusions from the 2013 McKinsey Global Survey, which included responses from senior executives and CFOs. “Regardless of which sources of growth their companies pursue, the results indicate that, in the coming years, CFOs will need to up their game in a wide range of growth-related activities,” wrote the authors in McKinsey & Company’s New York office. What are CFO perceptions about growth? How will they achieve it? Will growth come through mergers and acquisitions or organic growth? There wasn’t a consensus on M&A or organic growth. In reading between the lines, it does appear that there will be a healthy debate on the two growth options. Aside from the researchers’ point about CFO capabilities, the study raised these salient questions: What are CFO perceptions about growth, and how will they achieve it? Will growth come through mergers and acquisitions or organic growth? The McKinsey researchers: Ankur Agrawal, an associate principal; Kaustubh Joshi, a consultant; and Ishaan Seth, a partner. Strategic Planning – Profit Lessons from Companies That Focus Long Term — To alleviate uncertainty in business and to grow profits, it’s increasingly clear that businesspeople must keep an open mind to seek opportunities, be bold and plan long term. In other words, companies that change their business models in order to become sustainable enjoy higher profits. How to Avoid Failure in Risk Management and Strategic Planning — Incredible as it might seem, companies fail because they underestimate strategic risks – yes, strategic blunders instead of common sense – according to an authoritative study. Are You up-to-date on Opportunities in Emerging Markets? Most Managers Aren’t — Seventy-six percent of business managers at global companies don’t have information for their needs – even though it’s necessary for productive decisions in expanding into emerging markets. Some 86 percent agree that data – market sizing and growth estimates – is vital. However, only 24 percent say the information isn’t available at their companies. Vision in Setting Goals with 8 Best Practices — Whatever your entrepreneurial dreams, focusing on the right details is a skill conducive for setting goals strategically. However, if management doesn’t ponder enough on action-oriented details, goals are inordinately difficult to achieve. That’s really true in our new economy in which ever-increasing change makes for surprises in a dynamic marketplace.